From motorway A1 in Limassol, most signs says Lemesos, take exit number 27. In the traffic circle follow signs for E-110, direction to Palodia and Gerasa. Measure from this traffic circle. At kilometer 5.3, you are in Palodia, go straight and stay on E-110. Around kilometer 13.3, you will pass by the nice village of Geresa (on your left), continue on E-110. At kilometer 19.9, turn right in order to stay on E-110 (a bit later there is a left curve, stay on E-110). Then, at kilometer 22.4, turn sharply right and leave E-110, the new road is F-139. Shortly after, at 22.6, go straight ahead. 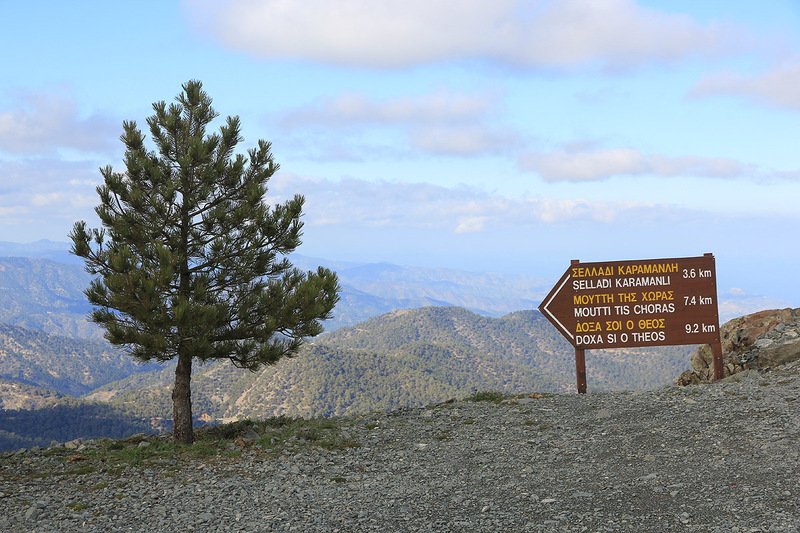 At kilometer 29.2, fork right (uphill), there is a sign here saying Troodos 43. 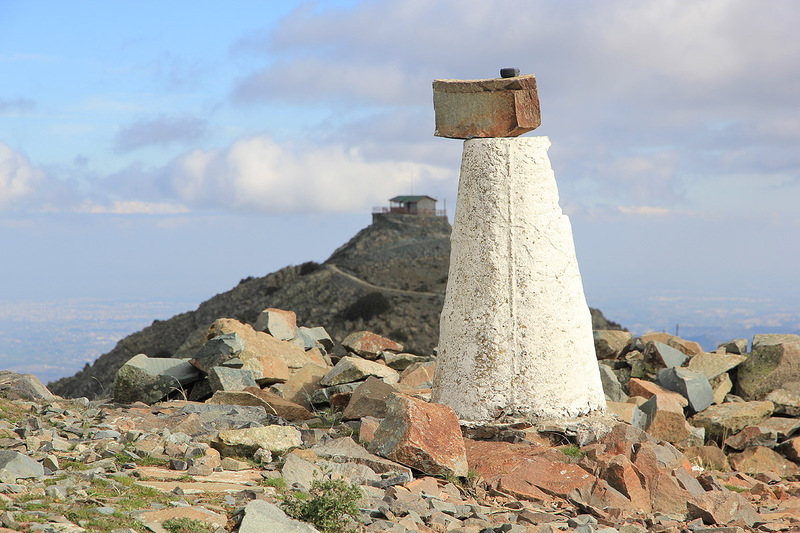 Finally, at kilometer 32.0, you reach a main col, this is the trailhead for Papoutsa. Turn left at this intersection and continue to follow the main road until kilometer 39.7, where you turn sharply right (uphill) onto a smaller road. Continue to kilometer 42.2, you are now at a nice 4-way intersection on top of the main crest. Drive straight ahead, ie. cross the road that comes up from the left and descends to your right. This road is still paved, but more narrow. At kilometer 44.2, the paved road ends with a big (locked) gate protecting an antenna. However, a dirt road forks right just before the gate. This road is rough, but can be driven (with care) by ordinary cars. You may decide to park at this fork, the remaining road is just 800 more meter. 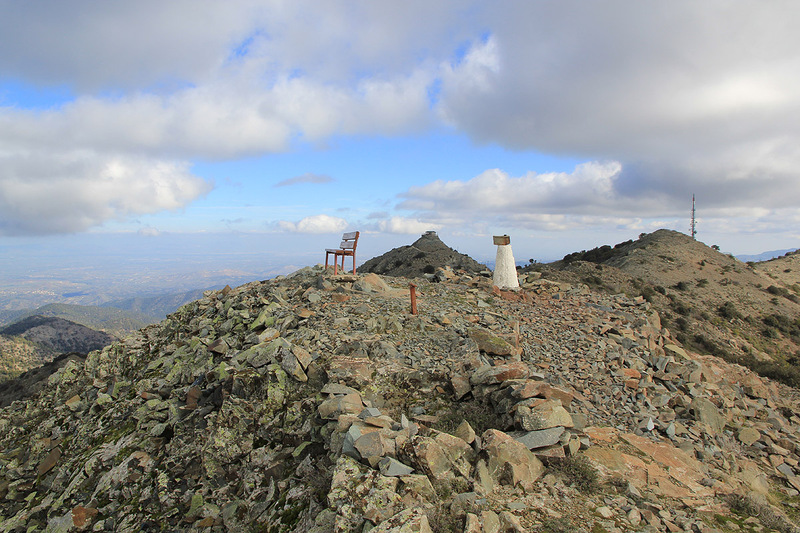 Thus, in 45.0 kilometer, you have reached the trailhead, located in a nice pass between the fire lookout, sometimes called Adelfoi (right), and the Madari main summit (left). 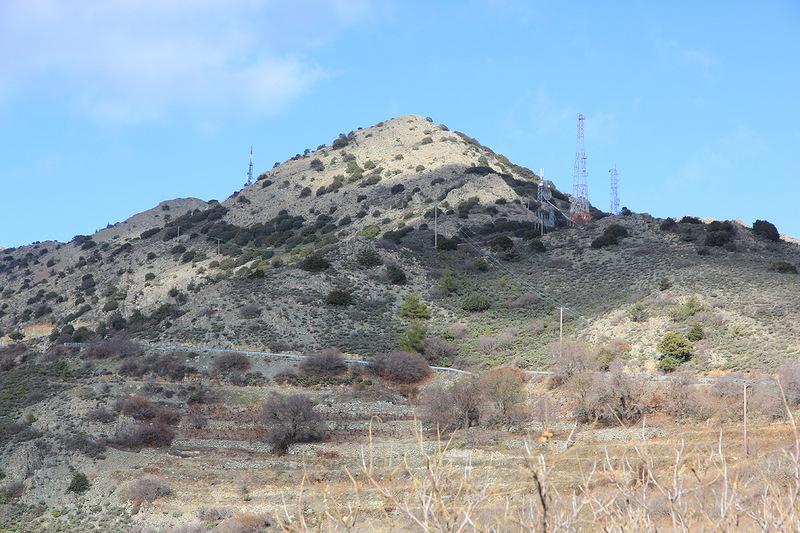 This location is N34.95614, E032.99512, elevation about 1570 meter. 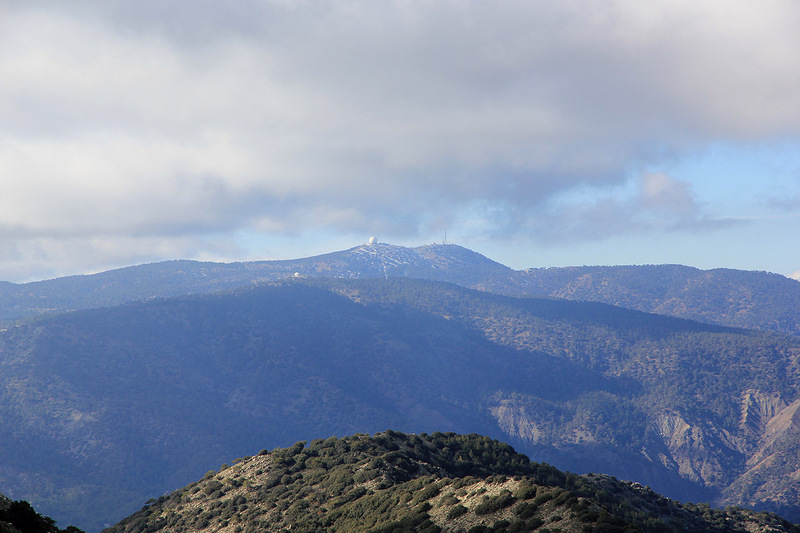 From this trailhead, one can and should visit the three tops that are also the three highest in the area. 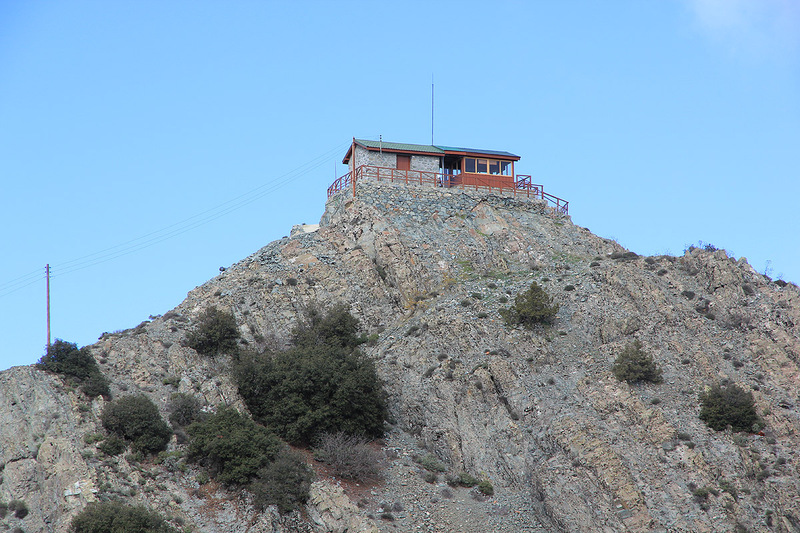 The fire lookout is straight up to your right. This summit is also called Adelfoi. However, the saddle is not deep enough to make it a separate top, all three summits belong to the Madari. The highest point is, unfortunately, also the most ugly looking. It is most easily reached by taking the trail that serves the shallow saddle between this top and the next one a bit further along the ridge. From this saddle, turn left and walk the short distance to the top marker. 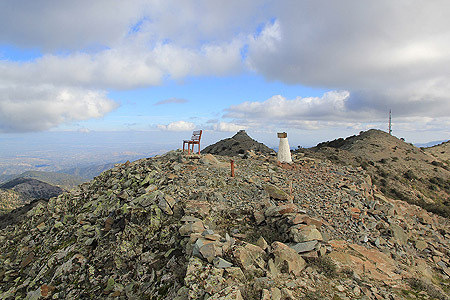 The third summit is reached by a short continuation along the same trail. A short side trail serves this summit. 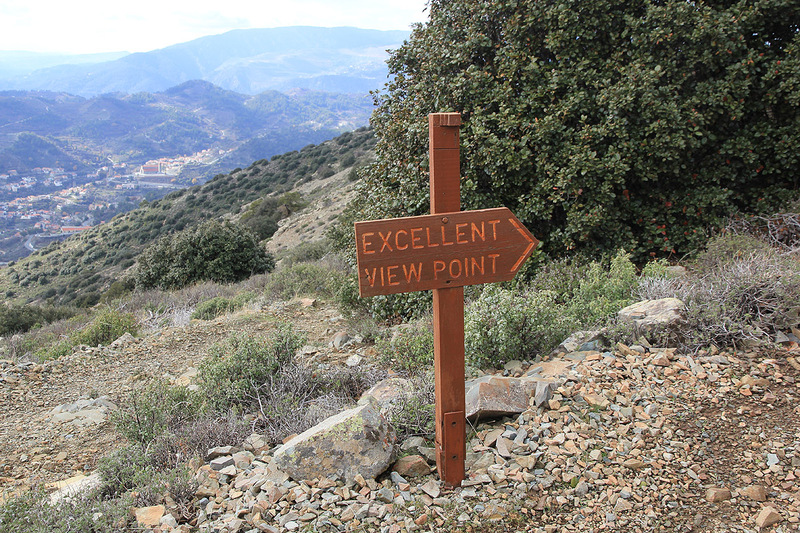 There is a wooden sign pointing upward saying "Excellent View Point". Indeed, this summit has been equipped with a bench for rest and viewing. There is a 4th. 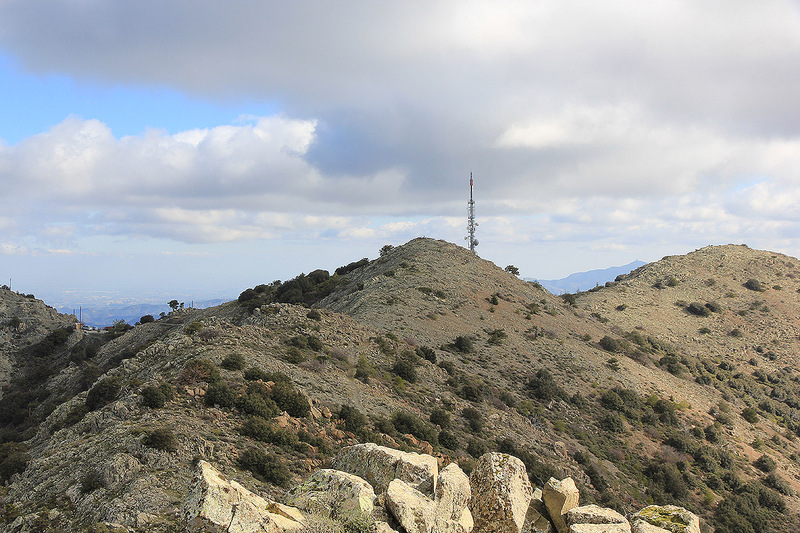 summit, on the other side of the antenna, but this one is clearly lower. My trip this day, continued Kourtellorotsos. 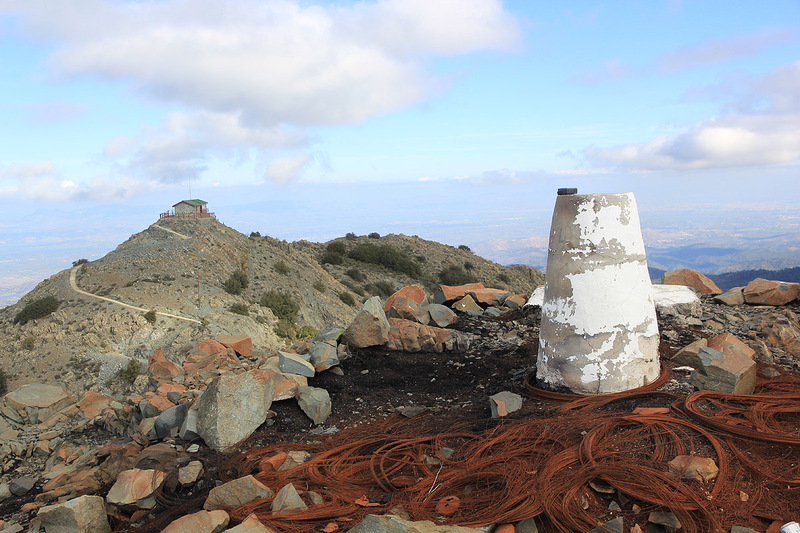 I arrived at 1055 and visited the fire lookout, followed by the highest summit, then the 3rd. summit a bit further along. Nice views all around. It was even possible to look across to Olympos, the clouds were just a bit higher. I was back at my car around 1130, the plan was to visit two more summits before the end of the day. Each of these would presumeably require a bit more physical effort. View from the fire lookout."